Meghan Markle and Prince Harry have delighted fan with a cute comment about their Royal Baby in their latest Instagram post. While thanking generous well-wishers for charity donations, the message referred to the Duke and Duchess – and Baby Sussex. 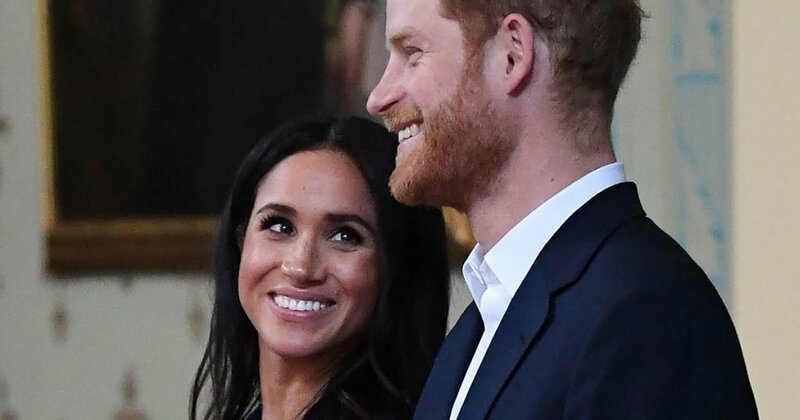 Thousands of pounds have been raised for charities close to the couple&apos;s hearts as part of an unofficial baby shower and in lieu of gifts to the Royal Baby in the last few weeks. The message says: "Whether a $5 donation, £1000 contribution, offering to volunteer, or spreading the word – you’ve played your part. And on behalf of The Duke and Duchess (and Baby Sussex), we thank you so much." One fan wrote: "Using their platform for good and making the world a better place despite all the negatives. A worthy and awesome goal." Another added: "This is what &apos;royalty&apos; means to me. Awesome." One woman wrote: "Your mother would be so proud. LOVE YOU." Other eagled-eyed fans also spotted a telltale sign that Meghan could have actually been the person writing the post. The caption is filled with Americanisms, referring to "diapers" instead of nappies, "cribs" instead of cots and "backpacks" instead of rucksacks. While fans loved the new update, many were also disappointed the news wasn&apos;t baby related. One woman wrote: "This is so wonderful but seriously everytime this notification pops up my heart stops for a few seconds. I’m not prepared for that birth announcement." Another added: "My heart skipped a beat, thinking it was baby time!!!" Lunchbox Fund will now be able to provide a minimum of 100,000 additional hot nutritionally fortified meals to children in dire need across South Africa. Little Village received donations from all over the world (from UAE to Hong Kong and the US), they’ve increased their monthly donors, had a surge in volunteer applications, and re-energized their hard working team of 200+ staff and volunteers. Well Child can now provide 300+ additional hours of specialist care by a Well Child Nurse for a child with serious health needs, allowing families to stay together at home vs in hospital.